Gain some inside knowledge to help avoid those nasty cases of career assassination and espionage. The training landscape is littered with overpriced theory ridden training courses about leadership. HR Development and Training Ltd are committed to providing managers and supervisors with a deeper understanding about what leadership in the workplace actually means. Participants will learn about leadership styles and situational leadership. If that sounds like another load of theory I assure you that at least it is theory that has been deeply soaked in a large vat of reality. The course is suitable for management and supervisory staff at all levels. 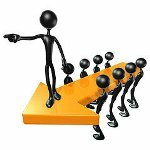 Course participants will learn about different leadership styles and what their own leadership style is. They will look at practical case studies and work towards a better understanding of the advantages and disadvantages of their leadership style. We will also share some insights from our own research about what employees think of leadership and what style of leadership they like to see from management.